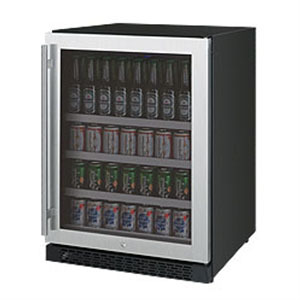 We provide Wine Cooler Repair in Corona and surrounding areas. Efficiently working wine coolers make your weekends more relaxed especially when you want a chilled glass of wine of your choice after hectic weekend schedule. If your wine cooler needs wine cooler repair, give us a call. We cannot see electricity flow so any fluctuation in electric current might result in serious damage to you and your appliances. Following these minor safety tips can save you from major hazards of life. Before you call for an emergency service technician to come and perform wine cooler repair, we recommend trying these tips as they will save your time and money. 1) Wine coolers should be placed where there is enough air to flow around its back and sides to avoid overheating and maintain efficient running. 2) Always keep its inside clean. 3) For better cooling of wine bottles always avoid to over stuffing with excess items..
4) Gasket or rubber seal of wine coolers should always be cleaned to remove any grease or silt. It helps in better working and proper door closure of door. 5) Condenser coils can be kept clean by using blower action of vacuum cleaner or even wiping carefully with sponge and soapy water after plugging it off.